The upcoming holiday season might be the perfect time to check some amazing things off your bucket list. Instead of looking at other people’s adventurous photos on Instagram or Facebook, why don’t you make some memories and take some photographs of your own? The best part about this is that you don’t have to go far for ultra-adventurous, nature-themed and bucket list-worthy experiences. It’s all in your own backyard – the incredibly mysterious Southeast Asia. With its tropical paradise beaches, imposing rice terraces, teeming underwater life, dense jungles, bustling cities and bold cuisines, Southeast Asia has always been an alluring place for the more adventurous traveller who has something more than relaxing on the mind. If cliff diving, hiking through the mountains or swimming with the sharks spark interest in you and appeal to your inner adventurer, read on. We’ve put together five different experiences to check off your list of absolute must-do’s and must-see’s. 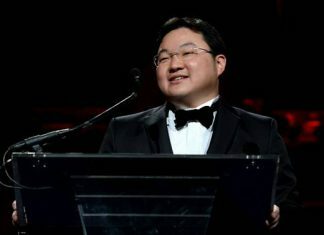 Our ASEAN neighbours have a lot to offer, and flights from Singapore and back are extremely affordable. 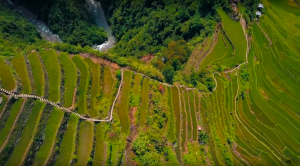 Cascading steps of earth, rimmed with stone, handmade 2,000 years ago on the side of mountains to help irrigate the earth, the Batad Rice Terraces are evidence of the ingenuity and hydraulic engineering of the pre-colonial Ifugao tribes. 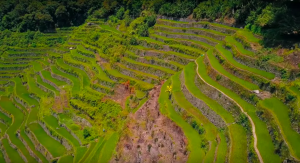 Though not as famous and oft-visited as the Banaue Rice Terraces, a UNESCO World Heritage site and one of the world’s wonders, they are no less magnificent. 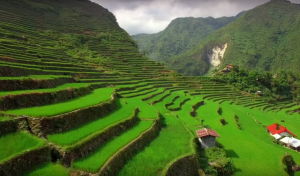 I would go so far as to say that the Batad Rice Terraces are even more impressive than their Banaue counterparts. The way the stone-walled steps of rock are arranged in an ampitheathre-like fashion around a deep valley is staggeringly beautiful and dramatic. 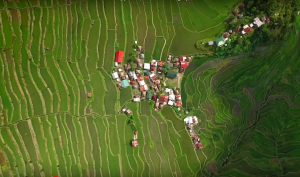 The hike down the Batad Rice Terraces, with its jaw-dropping views of lush greenery extending below into the basin of the mountains, is an invigorating one. It’s a challenge to keep your balance as you walk, one foot in front of the other, on the stone edges of each terrace, making your way down the side of the mountain. At the end of the hour-long trek is a reward in the form of a cold dip in the base of Tappiya Falls. The trek back up the Batad Rice Terraces is intense. Mounting seemingly-endless high stone steps will have your legs burning and your lungs gasping for breath. But it’s absolutely worth it. Besides, that’s all part of the experience. Flights from Singapore to Manila and back start from SGD 195 only! From Manila to Banaue, take a bus. Ohayami Bus located at Sampaloc, Manila near UST (University of Sto. Thomas) has 2 daily trips to Banaue at 9:00PM and 10:00PM only. Travel time is 9-10 hours and the fare is PHP 450 (SGD 12). Make sure to be there early as it gets fully booked quickly. Buying a ticket in advance is also recommended especially during weekends and holidays. At Banaue town proper, you need to register first at the Banaue tourism office and pay the Php 20 (SGD .52) environmental fee. You can then charter a tricycle to Batad Saddle Point for PHP 500 (SGD 13), good for 3 people, or charter a jeep for PHP 2,800 (SGD 74), good for 20 persons. At Batad Saddle Point, you can hire a guide for the day (PHP 600 or SGD 17) to take you to Batad Rice Terraces, Tappiya Falls, and Batad town. 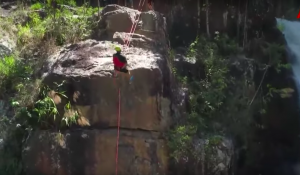 If heights are not your thing, this one might be a challenge for you. 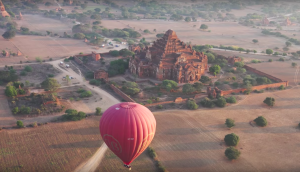 But the experience of floating high over the ancient city of Bagan in central Myanmar, taking in a landscape that’s dotted with thousands of temples while the sun stretches its rays and greets the day, casting a golden glow over everything, is absolutely worth it. The appeal of Bagan’s temples lies not in their individual beauty, but rather in the effect of the endless array of similarly-shaped structures all over the plains. 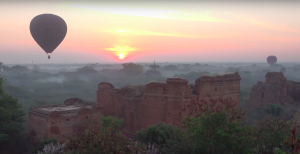 More than 12,000 temples used to stand in Bagan – the capital of the ancient Kingdom of Pagan. 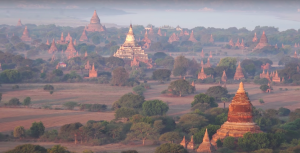 Today, 2,000 of them still remain, and it’s the feel of utmost calm and spiritual peace that really makes Bagan a must-visit place in Southeast Asia. The flight over the Buddhist and Hindu temples is 45 minutes long, perfect for taking in the jaw-dropping aerial views and for reaching a state of relaxation that comes from looking at things through a different perspective (in this case, from above). 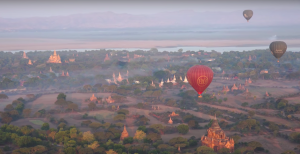 Going up in a hot air balloon over Bagan is for those who want a rush unlike any other first thing in the morning, followed by complete serenity. Flights from Singapore to Myanmar and back start from SGD 620 (a little bit higher than travel to other Southeast Asian countries, but extremely worth it). From Nyaung U Airport, take a 10-minute taxi for K7,000 (SGD 6) to Old Bagan or a 20-minute taxi for K10,000 (SGD 9) to New Bagan. Contact them at +95 (0) 6 1246 0713 and +95 (0) 9 448 045 716. Prices start at USD 370 (SGD 507) for a 45-minute balloon ride. To make reservations and arrangements in advance, go to their website. 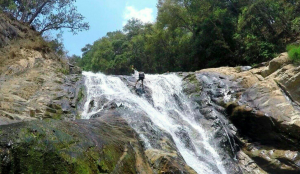 Cliff jumping, abseiling, and rafting are just a few of the ultra-adventurous, adrenaline-pumping activities waiting for you when you go canyoning in Da Lat, Vietnam, which is surrounded by hills, pine forests, lakes and waterfalls. 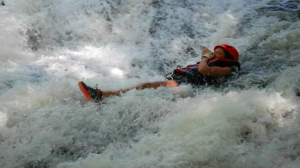 For those that have never done it, canyoning is an epic day activity which combines multiple outdoorsy things at once. 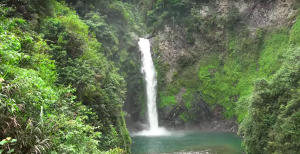 Picture yourself traversing through jungles and canyons, jumping off and rappelling down 25-meter waterfalls, abseiling up large rocks and being pushed backwards down a tiny waterfall to fall into the pool below. It’s like being on a natural obstacle course. Go at it with a group of friends, with your equally-adventurous partner or even alone. The experience is exhilarating and will definitely awake in you a desire to do and see more. 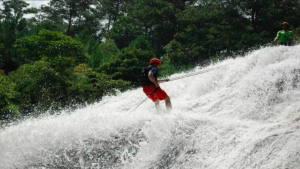 While other spots around Southeast Asia also offer canyoning, thrill seekers and adrenaline junkies highly recommend the Da Lat experience. Flights from Singapore to Vietnam (Ho Chi Minh City) and back start from SGD 215. First option from Ho Chi Minh City: take an hour-long flight to Da Lat and back, which starts from SGD 92. Third option from Ho Chi Minh City: travel by bus or minivan to Da Lat takes about 7 to 9 hours and costs about 300 000 VND (SGD 18). Tip – buy them 30-60 minutes before departure and present voucher to board bus. You can book and buy bus e-tickets from Ho Chi Minh to Da Lat online on Baolau or 12go.asia via secured payment. You will receive your e-ticket by email, ready to print or carry in your mobile phone or tablet. Don’t forget to present it at the ticket counter of the station before boarding the bus. For prices, reservations and arrangements for your canyoning adventure, visit the Dalat Canyoning Tours website. 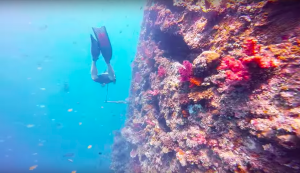 If you really want to test your limits and see how adventurous you really are, try free-diving in Bali. Yes, free-diving. No air tanks; nothing else but your lungs. The early locals used to spearfish and dive down even further than 25 meters on a single breath. 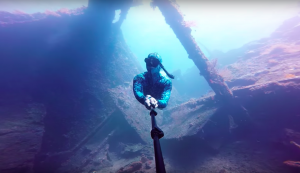 But don’t worry – if you have never gone free-diving before, there are many schools in Bali offering information, training, workshops and trips (check out Apneista and Fathom Freedive). Most who go through a beginner’s course in free-diving are shocked to find out that they can hold their breath underwater for 2 minutes. With time and practice, you’ll be able to hold breath for even longer. 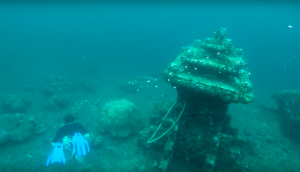 Amed Beach and Jemeluk Bay in Bali are the perfect spots for free-diving, with different views, ranging from manta rays to World War II shipwrecks and even ancient relics; not to mention statues and an underwater temple found on the seabed. The teeming marine life here includes various tropical fish, sea turtles, reef tip sharks, rays and vibrant coral gardens. 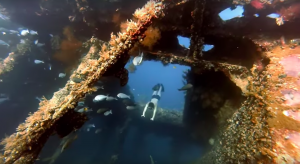 The WWII Japanese patrol wreckage lies 15 meters from the shore and vast reefs are waiting to be explored. Flights from Singapore to Bali and back start from SGD 190. From Bali’s Denpasar Airport, the 3-hour (or more, depending on traffic) trip to Amed is about 100KM and starts from at RP 400,000 (SGD 38) for a taxi or private driver. Last but not the least on our bucket list of adventure in Southeast Asia is diving 30 meters below with beautiful thresher sharks in the tiny island of Malapascua, which is 45 minutes off the northernmost tip of mainland Cebu. 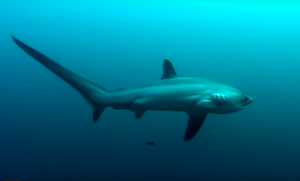 Thresher sharks are unique, with whip-like tails nearly as long as their bodies. 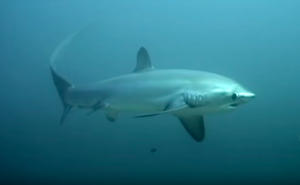 Thresher sharks, who use their tails to whip and stun prey before devouring them, can grow as big as 6 meters long and are fascinating to observe – their long, flexible tails undulate through the deep waters and their movements are graceful and mesmerising. 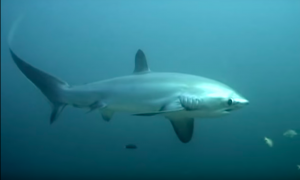 These elusive thresher sharks are rarely seen in other locations, but in Malapascua Island, you can dive with thresher sharks every day. In the early hours of the morning, before the sun rises, the thresher sharks come up to Monad Shoal, a sunken island at 16 to 32 meters whose sides drop off to 230 meters. At the shoal, also known as their “cleaning station”, the threshers have a symbiotic relationship with small fish called cleaning wrasse. The wrasse eat dead skin and bacteria from the shark’s body, its gills, and even inside its mouth. Malapascua is also a haven for marco photography. 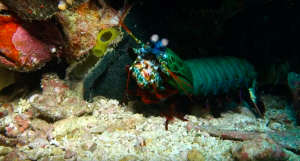 Divers come to see the colourful mantis shrimp and the brightly-hued nudibranches (sea slugs) as well as the magnificent threshers. 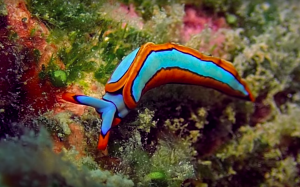 Malapascua has dive sites for beginners, comfortable divers, and advanced, professional divers. For those who have never dived before, the 1KM by 1.5KM island has an array of dive schools to choose from (check out Evolution Diving Resort and Devocean Divers), where you can get different levels of diving certification. Flights from Singapore to Cebu and back start from SGD 378. From Mactan-Cebu International Airport, take a private taxi (2.5 hours, starts from SGD 130), a van (4 hours, SGD 8) OR a bus (5 hours, SGD 6) to Maya port. From Maya port, take a boat to Malapascua Island (45 minutes, SGD 3). If the tide is low, you might need to take an additional small, flat boat (5 minutes, SGD .53) from the bigger boat to the shore. There you have it. 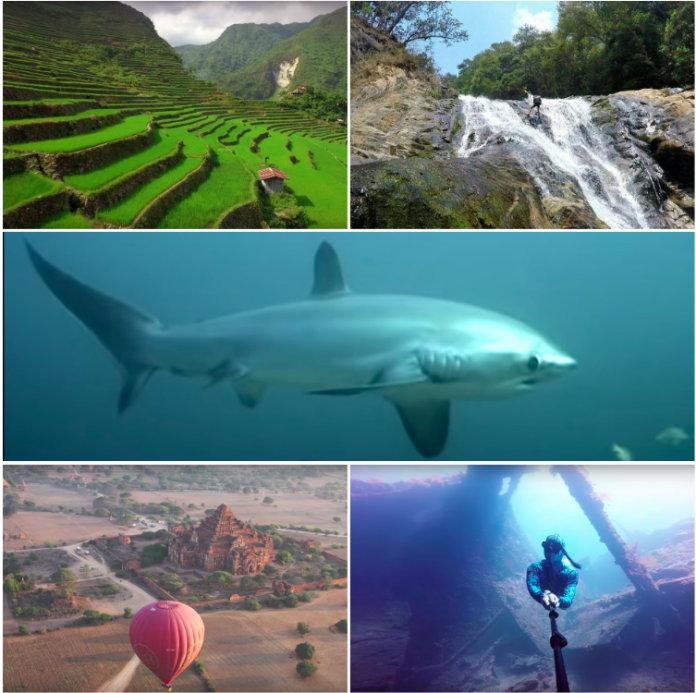 Choose from this list or from many other spectacular, bucket-list worthy experiences in the beautiful, tropical region of Southeast Asia. Life will never be boring if you step out of your comfort zone and explore.